We started off making a Christmas card…… yes, Christmas… it’s never too early to start your collection of lovely handmade Christmas cards. 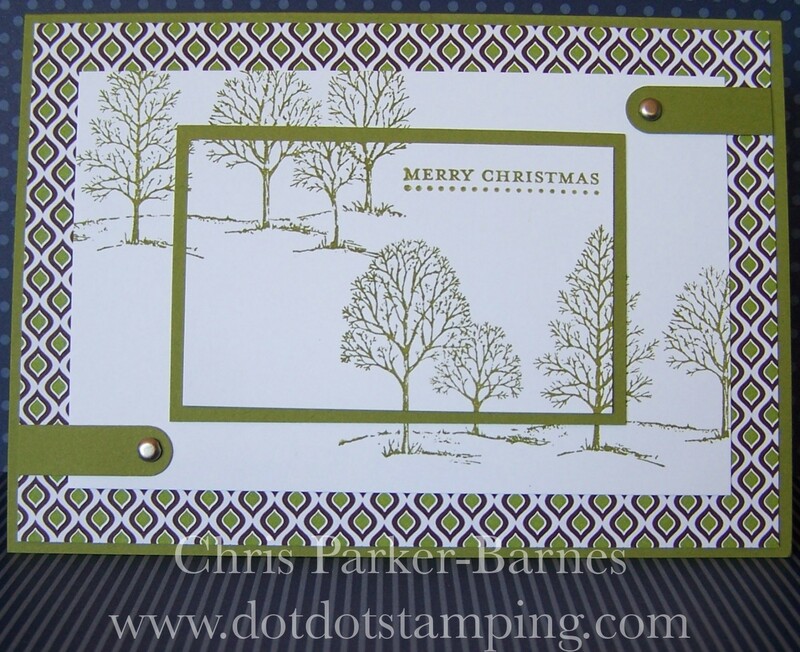 This one uses the stamp set Lovely as a Tree, and the sentiment is from Teeny Tiny Sentiments. It could, of course be a masculine birthday card rather than a Christmas card, but in any case the idea was to introduce the Triple Stamping technique with just two layers of stamped cardstock to see how it all goes together. 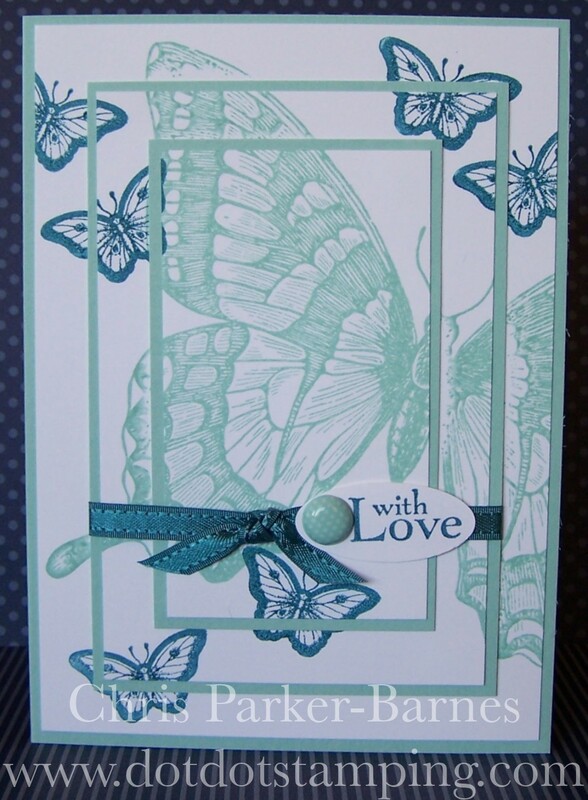 The second card uses the gorgeous Swallowtail stamp, combined with Papillon Potpourri, and the colours Pool Party and Island Indigo. 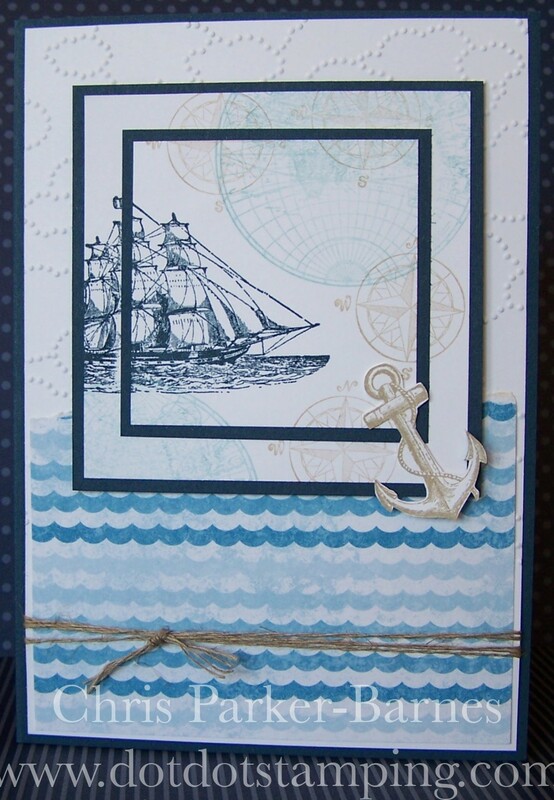 And last but not least, a masculine card which uses The Open Sea stamp set, and in the background some patterned paper from the Sunshine and Sprinkles Designer Series Papers, and the Cloudy Day embossing folder. This is such a great technique and creates gorgeous and unusual cards. I have a couple more that I have made as samples that I will share with you soon. All 3 cards are fabulous!! I really need to give this technique a try.